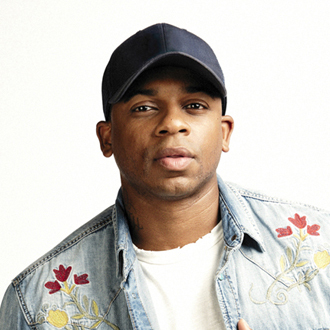 Rising country singer/songwriter Jimmie Allen has made history as the first African-American artist to launch a career with a number one debut single on country radio. His single “Best Shot” reached the coveted top spot on the Billboard Country Airplay chart, and stayed on top for two weeks. Allen wrote the song with Josh London and J.P. Williams for Allen’s debut album, Mercury Lane (on Stoney Creek Records). Notably, “Best Shot” is the #1 Most Shazamed song in the format for eight consecutive weeks. Influenced by country stars like Alan Jackson, Jason Aldean, Montgomery Gentry and Aaron Tippin, the Southern Delaware native knew from the age of 8 that he wanted to be a performer. On the way to reaching his dream, a financially-struggling Allen was forced to sleep in his car until he could get on his feet again. Eventually, he was able to give his best shot for a showcase in front of record executives, but unfortunately, they turned him down. Nevertheless, Allen held steadfast and in time inked a record deal, and over the last year has been building momentum with his career. We are pleased to do this new Q&A interview with Jimmie Allen. He talks about how stuttering as a child turned him into a powerful writer, and he reveals the message he told himself that gave him hope during the hard times. BC: How did your song “Best Shot” develop? Jimmie Allen: I just had this melody in my head and the first line and chorus. I went to the writing session and said, “Hey guys, what do you think about it? Let’s write it from the angle of one day as another opportunity to do better for a person, to have everything in life.” It’s from my own personal experience—life, love, and love loss, and I also just wanted to show ways to be a better person. You write it from a relationship standpoint, but really when you dig a little deeper it’s just about overall being a better person. BC: For you, what does it mean to give something your best shot? Allen: I feel like you’ve exhausted every possibility and every option. You leave it all on the table. There’s no regrets. You’ve done everything you can think of, and you walk away from it satisfied. When you give it your best shot, it’s not about the results. It’s about the effort you put into it, so when you walk away, you can say you know what, I gave it everything I had. Whatever happens, happens. When I did the showcase for my label, I left everything on the stage. I didn’t get a record deal right away. I couldn’t control their responses or what they had going on, but I was satisfied. BC: At one point while you were struggling to make it as a singer, you were living in your car. What messages did you tell yourself to keep you going to survive or to be motivated? Allen: That was the only dream I had. Some people who graduate high school land their career [immediately]—some people have to go to graduate school…some have to go to medical school. For me, I had to get better at my craft. I needed to meet people that will take me to the next level. I need to write better songs. I need to perform better. So, what kept me going was knowing this is just part of my journey. This is my college part, this is my grad course, or this is my medical school. At the same time I have some younger siblings that look up to me, and the fear of them giving up on their dream because I gave up on mine is something else that kept me going. BC: When did you actually start trying to write songs? Allen: When I was 10. They were horrible songs (laughs). It kind of started when I was younger. My speech therapist started telling us to write down our thoughts on paper and give them to her. When I started putting things down, I really expressed myself because I wasn’t afraid of not being able to get the words out. I could talk freely on paper, and for me that’s when the whole songwriting really started. Ever since then, I tried to write everything down…it turned into plays, it turned into movie scripts and then it turned into songs. There was so much stuff happening. I was creating my own world on this paper. It felt like nobody would judge me. When I talked in public, I always stuttered. I couldn’t get the words out, but on paper I was a better writer. That’s when I started building up confidence. BC: How does the songwriting process work for you? Allen: I try to write from the perspective of a music fan because I’m a huge fan of music. I feel like songwriters, when they try to write for other artists or other songwriters, that’s when we mess up. A lot of times I feel like we get more complicated songs where the listener doesn’t care. It’s over their head. Every time I write a song I listen to it as if I were a fan. I write the song, and I sing it back, [and ask myself] what would a shower singer want to sing right now? BC: Your album, Mercury Lane, is out. The title is derived from the street where you lived. How would you describe life on Mercury Lane when you were growing up? Allen: It was fun…it was safe…it was a family. We wouldn’t even lock our doors growing up. We learned a lot about the community and really being there for other people. We learned a lot about…being creative. As a kid when I grew up, we were taught to be ourselves. Don’t worry about stereotypes. That’s what we try to do. BC: You were a co-host recently on the Today Show on NBC. What was that experience like? Allen: I loved it. A part of my overall goal, where I want to go in life includes television. Hosting, movies and commercials are all part of what I want to do. I enjoyed the interaction with (Today Show hosts) Hoda Kotb and Kathie Lee Gifford. Being on TV lets people see the other side of me—the humor, my musical influences, but at the same time…it was educational. BC: You mentioned earlier that you’d like to act. What are some other things you have on your bucket list? Allen: I’m writing a book right now…actually, two books. I’ve got some movie stuff in the works. My booking agency wants me to write a quote book. I have this stage play I started writing about a year-and-a-half ago. I’m not rushing the creative process on anything. I’m doing it all at once, but kind of letting each of them tell their own story.